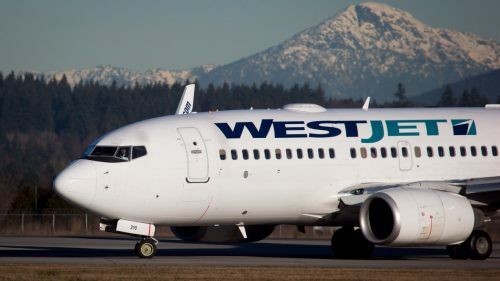 After yesterday's announcement by NewLeaf involving their plan to offer cheap flights from Regina, WestJet has thrown back a punch of their own, by offering flights from Regina to Vancouver, Kelowna, Winnipeg, and Toronto at prices that are far below their typical bottom levels (over 40% less than usual). There's also a couple of flights to Halifax for $392 to $410 CAD roundtrip including taxes. regina, yqr, flight deals, westjet, canada, winnipeg, manitoba, ywg, vancouver, british columbia, yvr, ontario, toronto, yyz, abbotsford, bc, yxx, north america, kelowna, ylw, hamilton and yhm. 3 Responses to "Regina to Vancouver, Kelowna, Toronto - $177 to $218 CAD roundtrip including taxes "
Hi if you guys had these deals all the time you would be making more money but the prices you charge just to fly in Canada you can go on a destination trip cheaper.Its something to think about. I tired this, but I didn't see the prices mentioned above. Just the standard.